A 45-year-old woman is behind bars after Mounties say she walked into a house in Osoyoos, asked to see the homeowner's baby, and then produced a knife. 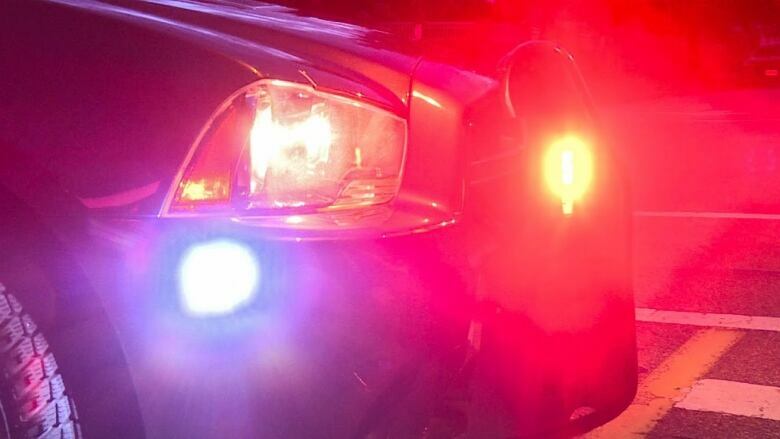 A 45-year-old woman is behind bars after Mounties say she walked into a house in Osoyoos, asked to see the homeowner's baby and then produced a knife. The bizarre incident began just before 9 a.m. on Wednesday, when a woman walked into a home on 78th Avenue in the southern Okanagan town, according to an RCMP press release. When the homeowner confronted the woman, she allegedly asked to see the resident's baby. The homeowner then pushed the accused interloper out the door, but the woman allegedly grabbed a knife that was concealed in her waistband and forced her way back inside. The resident was finally able to get the trespasser out of the house and called RCMP, according to the press release. Police searched for the suspect, but it took until Thursday afternoon to arrest her at her home in Osoyoos. RCMP Sgt. Jason Bayda said the homeowner did not know the suspect, but has seen her around town. The suspect remains in police custody, awaiting a court appearance in Penticton on Friday.